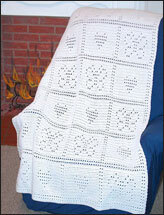 This heavenly 1-piece blanket is easy to stitch and makes a great gift. 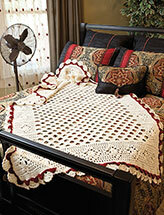 This e-pattern was originally published in the crochet World special publication, Crochet for Babies & Kids. Size: 34" x 40". Made with medium (worsted) weight yarn and size H/8/5mm hook.